The starting price level is set in the menu (StartPrice), which helps you start trading profitably. You can set the level at which the trade stops (PriceTarget). It helps you avoid unprofitable orders. 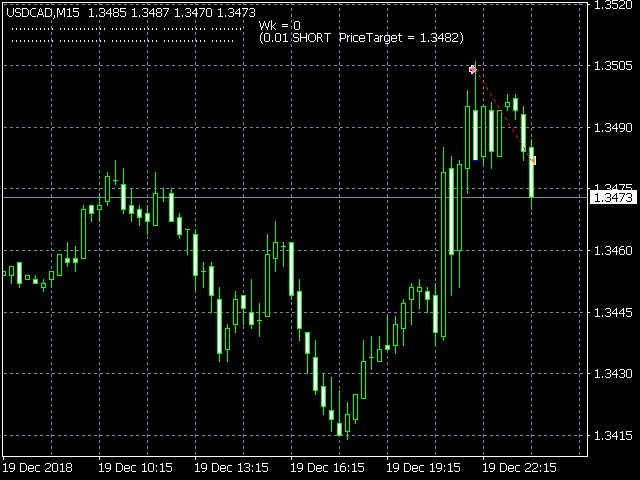 For instance, sell orders on Low level or buy orders on High level. Wk - new order series allowed. 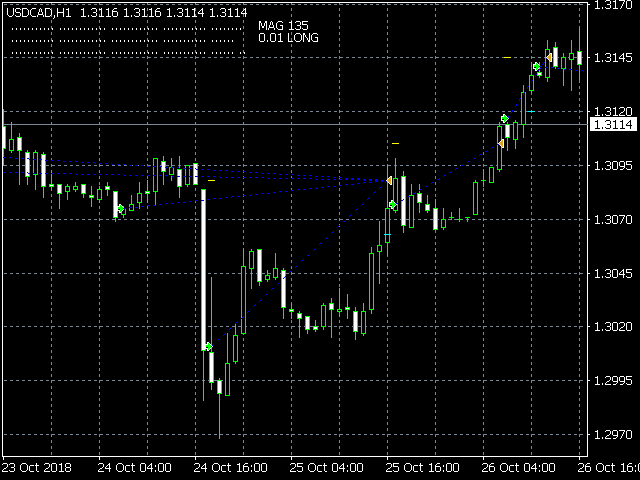 LONG TRADE - Long Trade allowed. 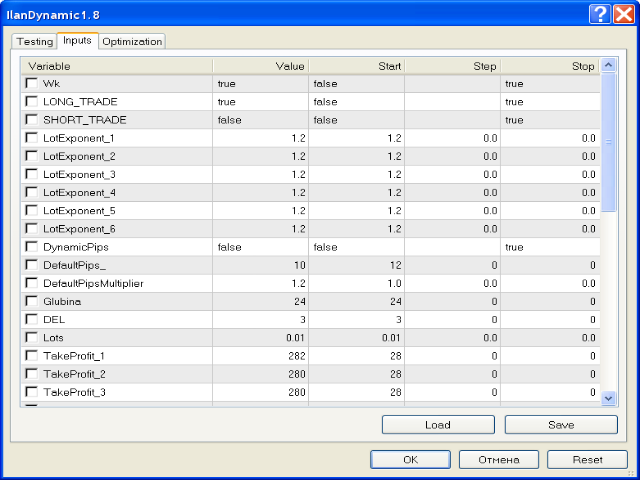 LotExponent_1/2/3/4/5/6 - volume lot multiplier, for an order in a series N1/2/3/4/5/6. 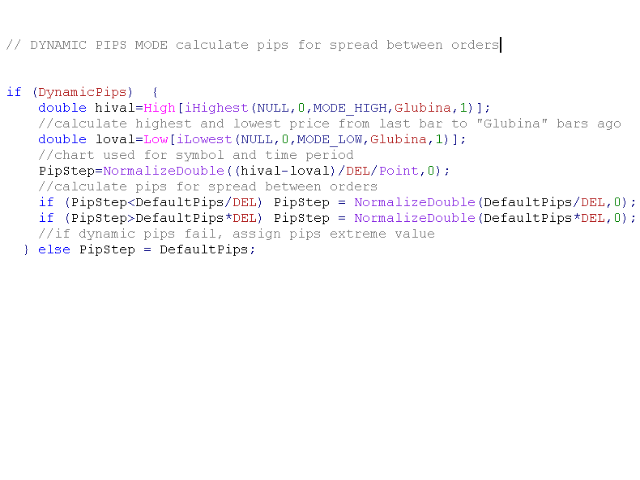 DefaultPipsMultiplier - step multiplier for order series. 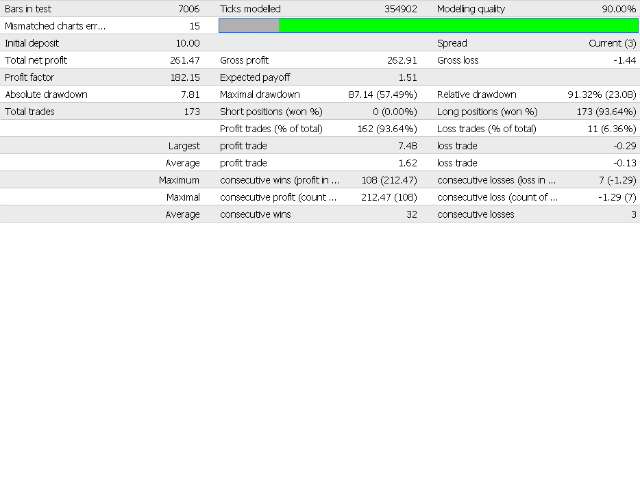 TakeProfit_1/2/3/4/5/6 - takeprofit in the series of 1/2/3/4/5/6 orders, pips. StartPrice - Initial price level for an automatic trade start, like BUYLIMIT (SELLLIMIT). PriceTarget - once this price level is reached, the robot will close all of the orders and then switch off. StopLoss - manual stop loss for the whole series. MagikNumber - magic number for the first series (-1 for automatic mode). 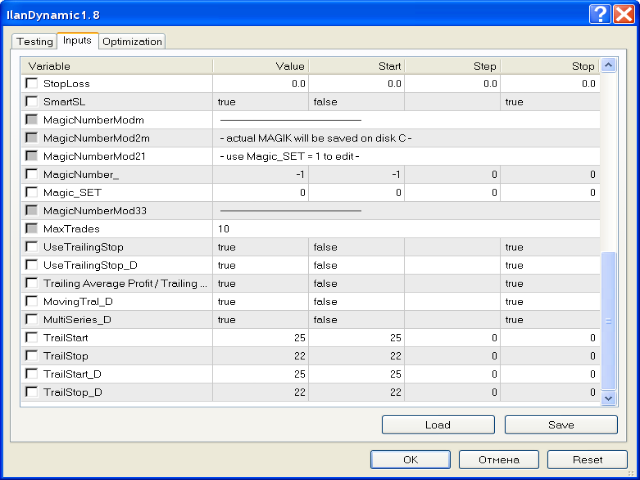 Magik_Set - put 1 to set magic number manually (0 - for automatic mode). RobotNo - robot NO (enables several robots to operate on the same pair; the 2nd robot will need NO 2 etc.). UseTrailingStop - fixed tral for default orders allowed (break-even mode). UseTrailingStop_D - tral for Additional orders allowed. Trailing Average Profit / Trailing Orders Separately - additional orders tral mode - Trailing Average Profit /Trailing Orders Separately - TRUE/FALSE. MovingTral_D - moving Additional tral orders allowed. 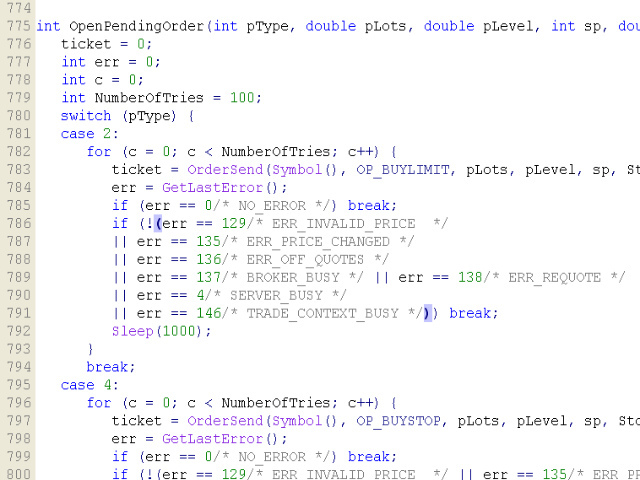 MultiSeries_D - allows to start new series of orders if the previous one was in a break-even mode. 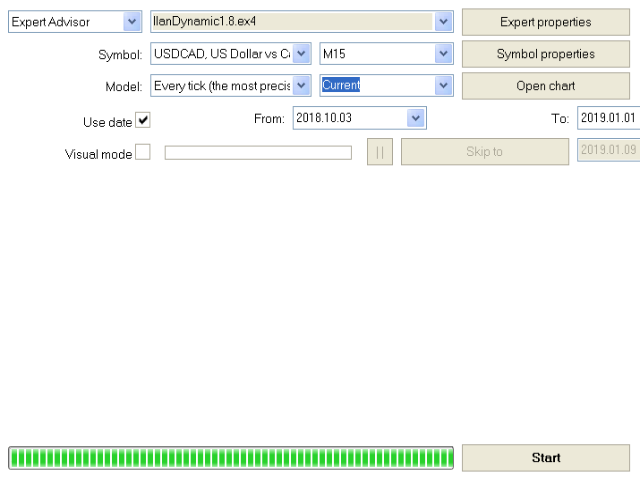 TrailStart_D - a profit level which should be reached to enable tralling of the Additional orders (break-even mode). TrailStop_D - tral length for Additional orders. 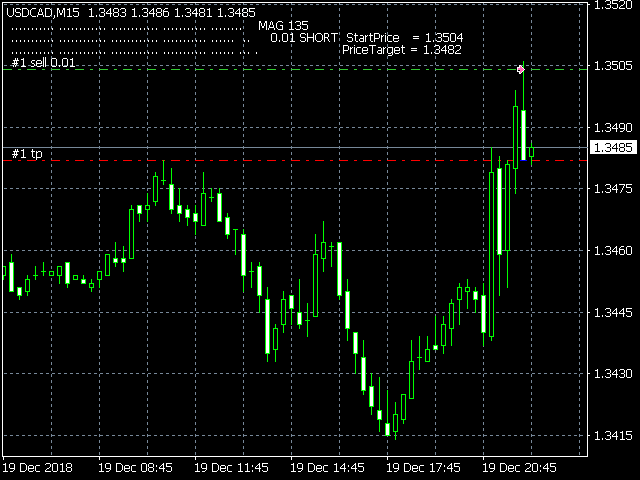 “Stoploss” option has become automatic. 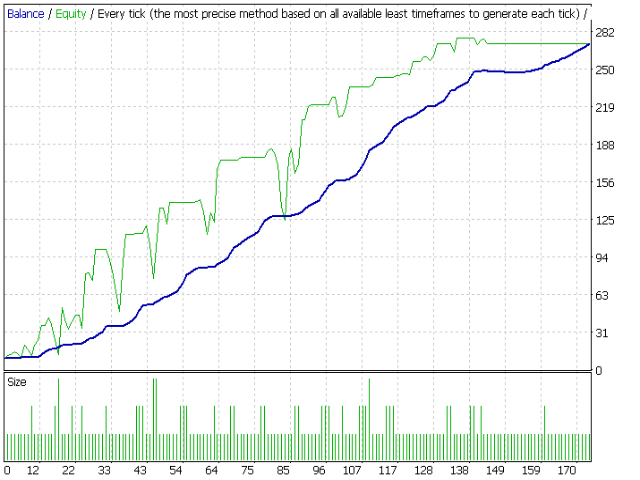 In this version Stoploss is set for each order in a series. 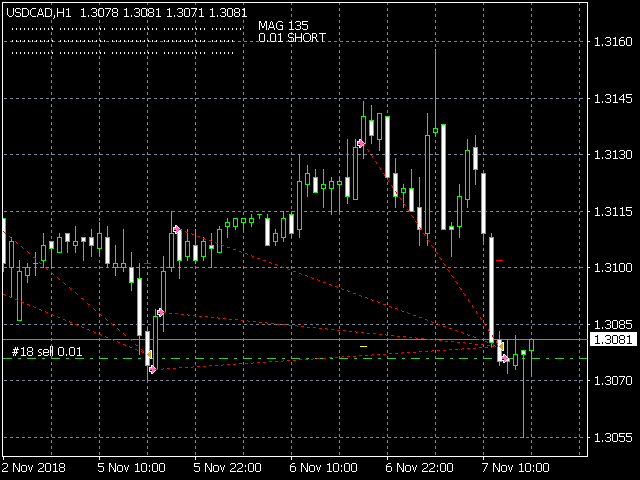 Once Stoploss is reached, the robot stops working.